Hansen Renovation Inc. - Community based renovation company committed to timeless renovations and advocacy for a sustainable future. At Hansen Renovation it all starts with your ideas. We then guide you through a decision making process that involves design and spatial planning, budget, timeline, and materials. We make sure you understand the process and feel included by having things like weekly client meetings and a shared project calendar. We start with an on-site consultation. We listen to your ideas and then begin to formulate a design plan. Our initial estimate will include a written scope of work and an estimated budget range...The next step is for us to do a detailed projection of costs based on actual material and labor from our subcontractors and from in-house. During the remodel we set aside time for weekly client meetings where we will answer questions and give updates on your project. At the end of the project, we create a punch list that you sign off on. We won't call it finished until you are completely satisfied with your remodel. 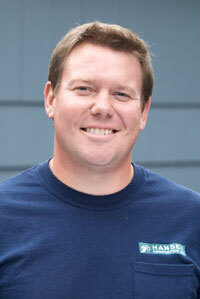 Josh has 15 years of residential remodeling experience and started Hansen Renovation in 2002. Before that he worked as a visual designer after graduating from Western Washington University. When he's not remodeling, Josh is an avid fisherman, beekeeper, gardener, furniture maker, and steward of the family koi pond. Before joining Hansen Renovation as a partner, Phil managed and designed kitchen facilities for large-scale corporate dining operations. He's a trained chef and an expert in optimizing kitchen functionality and layout. 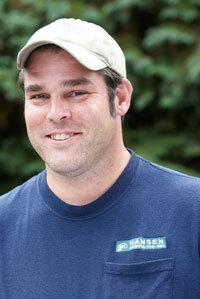 Phil, too, likes to fish, and most weekends you can find him on local rivers steelhead fishing or at the ocean clamming. Phil is an excellent cook and gardener who cans, preserves, and pickles just about everything imaginable.